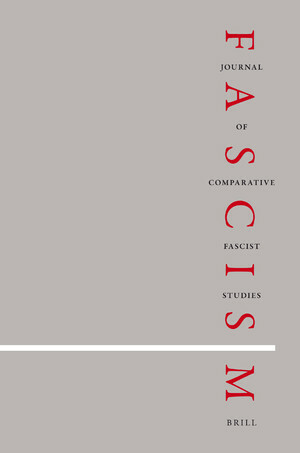 Fascism Studies is an emergent interdisciplinary field, the theoretical foundations for which were laid in the 1990s with the publication of Roger Griffin’s The Nature of Fascism and the subsequent discussions of the main theses of Griffin’s work. 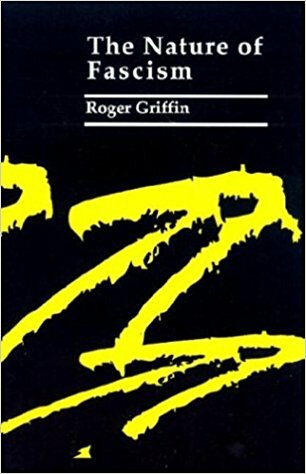 Griffin’s arguments were supported by a number of authoritative scholars of fascism such as Stanley Payne3 and Roger Eatwell,4 which led to the emergence of the so-called “new consensus” – at that time at least in the Anglophone academic world – on the nature of generic fascism.5 Already at the end of the 1990s, even some critics of the “new consensus”, such as the Marxist historian Dave Renton, considered it a foundation of the field of fascism studies: in 1999, Renton argued that he had written his book Fascism: Theory and Practice6 “as a reply to the new discipline of ‘fascism studies’”,7 that he identified with the works of Griffin, Eatwell, Payne and some other scholars of fascism. As the “new consensus” consolidated and while scholars subscribing to it to a varying degree produced more research applying its analytical framework not only to investigations of modern political developments, but also to the studies of eugenics,12 architecture,13 theatre,14 music,15 aviation,16 translation17 and other phenomena, it became increasingly clear that a new field, fascism studies, was emerging. Institutionally, the field was reinforced by the launch of two book series “Extremism and Democracy” (2002) and “Fascism and the Far Right” (2015) the Routledge publishing house, as well as the start of publication of the academic journal Fascism: Journal of Comparative Fascist Studies (2012). However, fascism studies, as an interdisciplinary field of research, too, employ concepts and methods not only from “traditional” – for the studies of historical and contemporary fascism – fields such as history or political science, but also from many other disciplines across humanities and social sciences, especially religious studies, political geography, political psychology, linguistics, sociology and cultural studies. 1. Edward A. Shils, Henry A. Finch (eds), Max Weber on the Methodology of the Social Sciences (Glencoe: Free Press, 1949), pp. 90-99. 2. Roger Griffin, The Nature of Fascism (London: Pinter, 1991). 3. Stanley G. Payne, A History of Fascism 1914-1945 (London: UCL Press, 1995). 4. Roger Eatwell, Fascism: A History (London: Allen Lane, 1996). 5. Roger Griffin (ed. 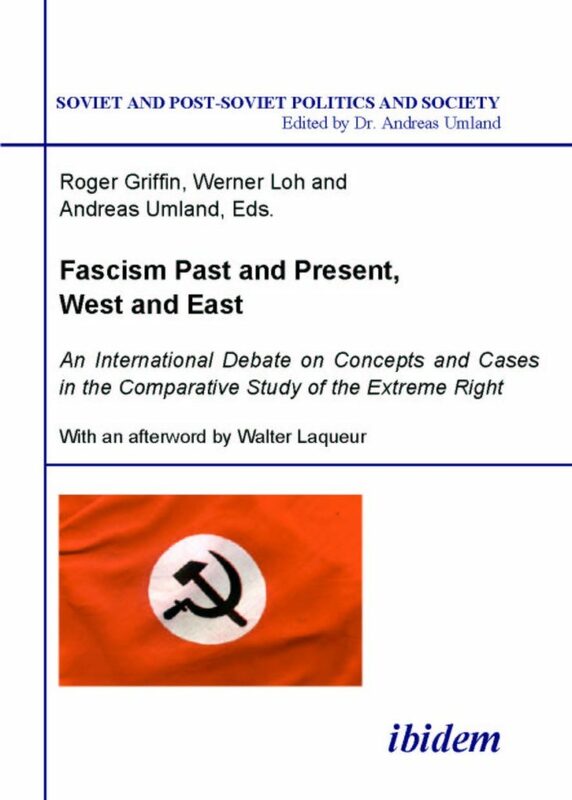 ), International Fascism: Theories, Causes and the New Consensus (London: Arnold Oxford University Press, 1998). 6. Dave Renton, Fascism: Theory and Practice (London: Pluto Press, 1999). 8. Peter Davies, The Extreme Right in France, 1789 to the Present: From De Maistre to Le Pen (London: Routledge, 2002). 10. Nigel Copsey, Contemporary British Fascism (Houndmills: Palgrave Macmillan, 2004). 11. Stephen D. Shenfield, Russian Fascism: Traditions, Tendencies, Movements (New York: M.E. Sharpe, 2001). 12. Marius Turda, Paul Weindling (eds), “Blood and Homeland”: Eugenics and Racial Nationalism in Central and Southeast Europe, 1900-1940 (Budapest: Central European University Press, 2007). 13. Aristotle A. Kallis, The Third Rome 1922-43: The Making of the Fascist Capital (Basingstoke: Palgrave Macmillan, 2014). 14. Günter Berghaus (ed. ), Fascism and Theatre: Comparative Studies on the Aesthetics and Politics of Performance in Europe, 1925-1945 (Providence: Berghahn Books, 1996). 15. Anton Shekhovtsov, “Apoliteic Music: Neo-Folk, Martial Industrial and ‘Metapolitical Fascism’”, Patterns of Prejudice, Vol. 43, No. 5 (2009), pp. 431-457. 16. Fernando Esposito, Mythische Moderne: Aviatik, Faschismus und die Sehnsucht nach Ordnung in Deutschland und Italien (Berlin: Oldenbourg Wissenschaftsverlag, 2011). 17. Christopher Rundle, “Translation and Fascism”, in Jonathan Evans, Fruela Fernandez (eds), The Routledge Handbook of Translation and Politics (London: Routledge, 2018), forthcoming. 19. Stuart Joseph Woolf, “Introduction”, in Stuart Joseph Woolf (ed. ), The Nature of Fascism (London: Weidenfeld & Nicolson, 1968), pp. 4-5. 20. Andreas Umland, “Diachronic and Cross-Cultural Comparison: Toward a Better Understanding of International Fascism”, Fascism: Journal of Comparative Fascist Studies, Vol. 1, No. 1 (2012), pp. 62-63 (62).